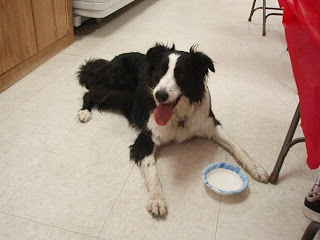 Bandit’s taking a much needed water break, inside. 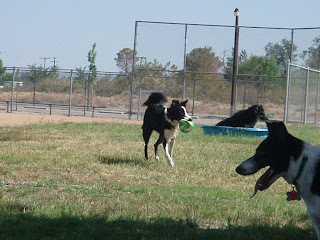 Bandit made a new friend named Sly. 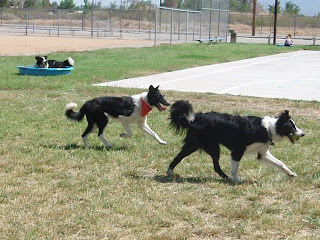 Sly is the one with the red bandanna and he is up for adoption. 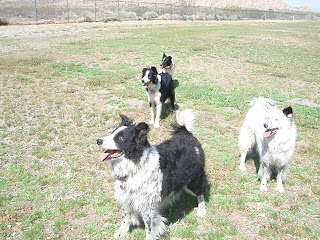 Bandit had a great time chasing tennis balls, frisbee’s, swimming, and herding dogs. 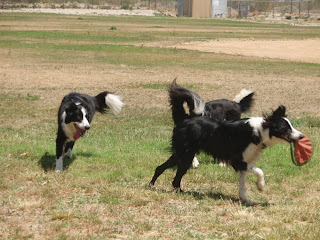 This entry was posted in Uncategorized on May 17, 2009 by Pam's Dog Training.